For the last few years I have been using Lilash lash growth treatment (which is excellent if you’re looking for a great lash treatment) but I have gotten lazy with my application and haven’t applied for a good 3 months now. My lashes have actually kept a lot of the strength and aren’t looking quite as stubby as they used to but I’ve been on the hunt for a mascara that would make the most of my lashes with minimal effort. Hurrah for Hourglass. Their new Caution Extreme lash Mascara is one of the best I have tested for a long time. The packaging is the classic Hourglass triangle design and the lid has a very satisfying click as you close it! The brush has a tapered end and is jam-packed full of short and long firm bristles. Reminds me of a chimney sweep, grabbing each lash and coating with coal black creamy product. The tip enables you to pick out the finer inner lashes and the body of the brush curls the lashes round whilst separating. The texture is creamy without being too blobby or caked and the finish is a glossy, jet black. Easy to apply and brushes through the lashes with ease, giving enough fluidity to re-apply multiple times without appearing spidery. Good for short lashes, sparse lashes or those who don't like anything too gloopy. 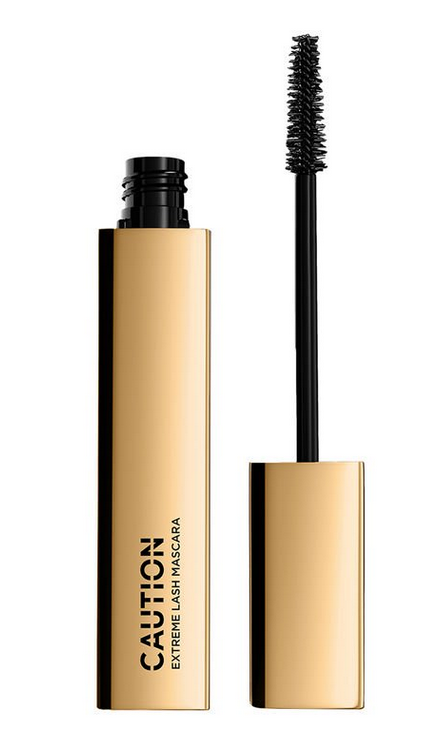 This mascara is £25.00 but if you want to try it first then you can also purchase a smaller travel size for £12.00. Get hold of both sizes here.